← Potato recipe: Ukrainian potato pancakes “Deruni”. 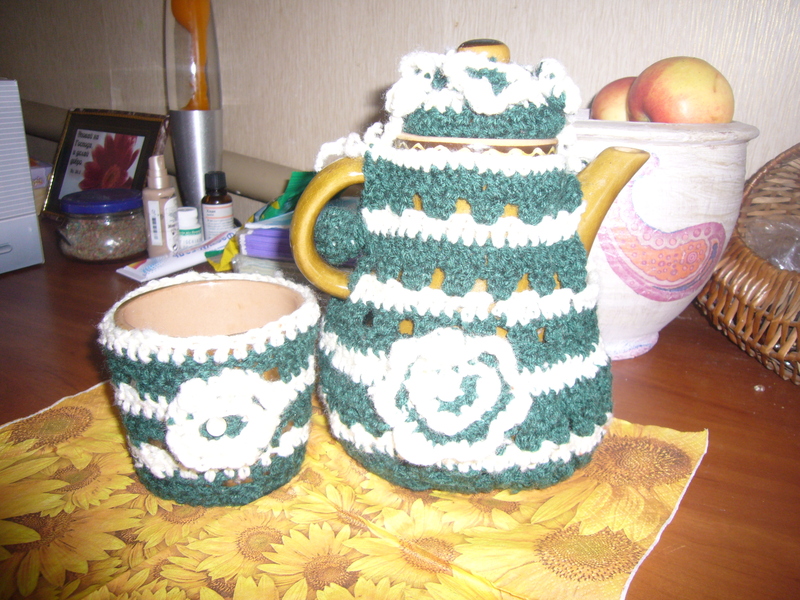 Now I got a nice crochet set of teapot and sugar pan for my tea table. This entry was posted in Uncategorized and tagged crafts, crochet sugar pan cover, crochet tea pot warmer, crocheting, crocheting decors, crocheting ideas for home. Bookmark the permalink. on the other hand I will certainly come again again.